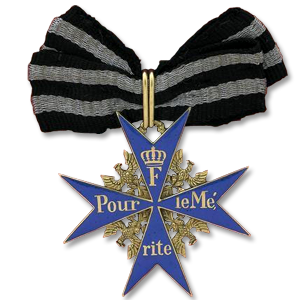 The following JG I pilot is being recognized for their actions during Session B3 of Flanders In Flames 2017 "Spring Campaign" (flown on 24 June 2017). Hptm. Baron von Faehig, Jasta 6 (session #B3, 24 June 2017), for the destruction of 18 enemy aircraft and 2 balloons within one streak. Guessing the drinks are on you!! Thank you very much friends! Im deeply honored! Congratulations Baron, well done and well deserved. I must say ( You Mérite this medal! ). Wish you many more kills! Such a lovely blue... Congrats Baron! Does it match his eyes??? You don't notice such small details trust me. But congrats also from me... well done! Sorry for being so late here but CONGRATULATIONS BARON! Very well done!